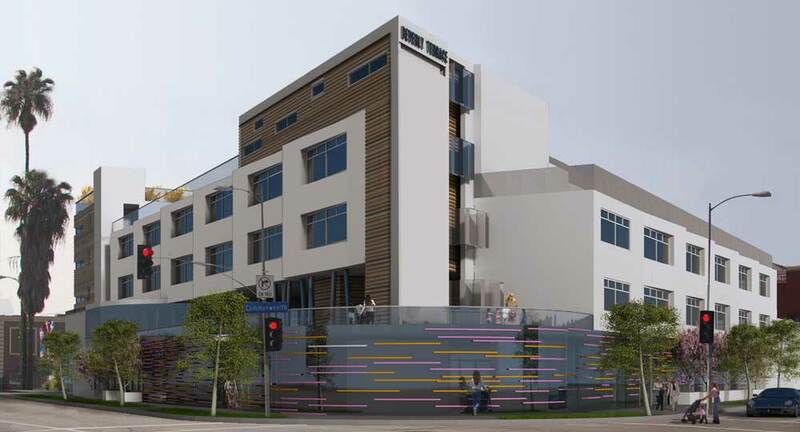 New construction of a 40-unit, mixed-use apartment building, consisting of 21 one-bedroom units, 18 two-bedroom units, and one two-bedroom manager’s unit with an additional 2,985 square feet of commercial space that includes an early education center for 60 children. Play areas for children, a community room with computer lab, community kitchen, on-site laundry, and rooftop decks. Beverly Terrace will be pursuing the highest United States Green Building Council (USGBC) LEED® certification level – Platinum.